A few days ago I visited the modern Kerloo tasting room in the SoDo district of Seattle and tasted with superstar winemaker Ryan Crane. 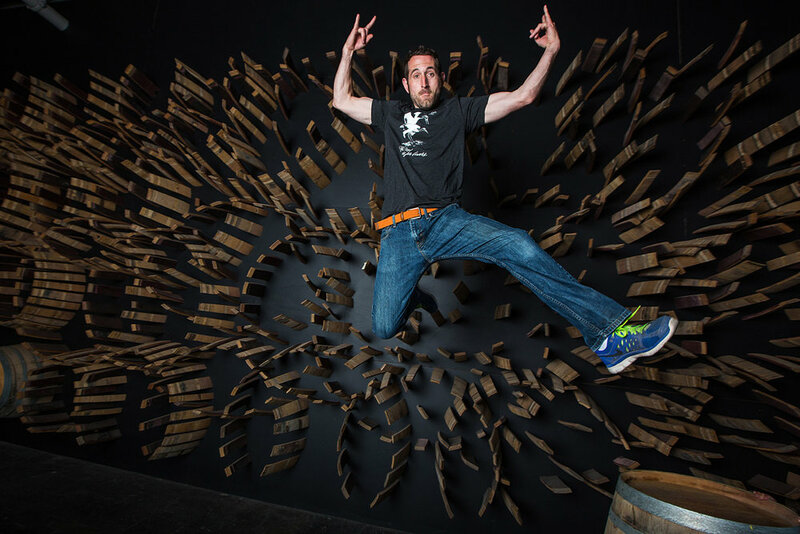 Ryan founded Kerloo Cellars seven years ago in Walla Walla, Washington. He has created quite an empire as he has created a pretty serious following for his wines which always sell out quickly. His winemaking story began at Animale Cellars in Seattle, many years before starting Kerloo. Ryan later trained under Marie-Eve Gilla at Forgeron Cellars and later completed an AAAS in Enology and Viticulture in Walla Walla. While in Walla Walla he became Assistant Winemaker at Va Piano Vineyards for three years under Justin Wylie and finally got the nerve to start his own gig. I was highly impressed with the new Grenache release by Kerloo, his 2015 Kerloo Cellars ‘Upland Vineyard’ Grenache. Ryan crafts one hell of a Cabernet. His 2015 Kerloo Cellars Cabernet Sauvignon (WWB, 92) is a beautiful wine that combines lovely herbaceousness and dark fruit flavors. Speaking with Ryan, he is very exited about the current 2017 vintage which is becoming more of a moderately warm year. He showed me some of the fruit in the fermenters which is already showing some really beautiful aromas. Ryan will only continue to grow as a winemaker and has certainly emerged as one of the top young talents in the state. Go check out these new release wines while you can. Learn more about Kerloo and their impressive lineup of wines at www.kerloocellars.com.